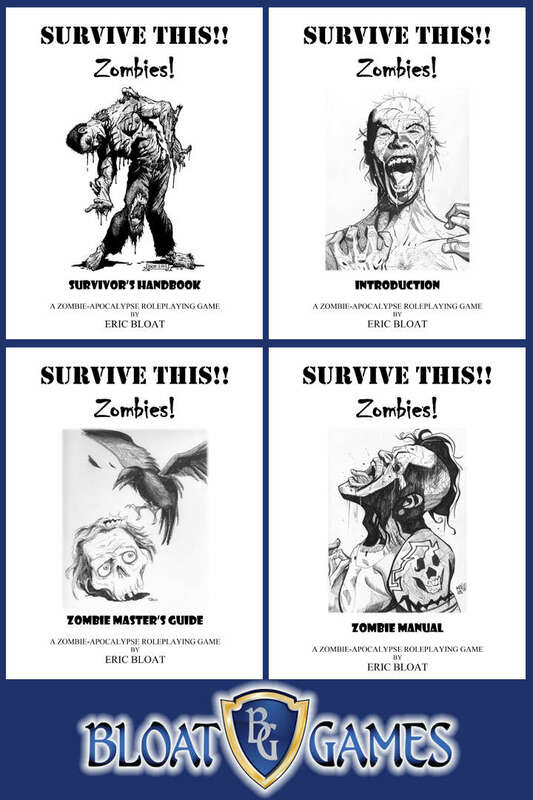 There’s a game creator and <gasp> blogger out there, playing RPGs with Eric Bloat at Origins Game Fair 2018 and writing posts about using Bloat Games‘ Survive This!! Zombies! with the movie The Stake Land, or stat’ing at the monster from the short film, The Birch. Be on the lookout for Justin Ryan Isaac of the PunVerse blogspot and Halls of the Nephilim as he’s got some clever ideas for games for fans and can be a solid promoter for game creators. Greg LaRose, owner of Amora Game, and TentacleGreg on Open Gaming Network (where I write some articles), is roaming the halls of Origins Game Fair 2018 looking for games to consume. 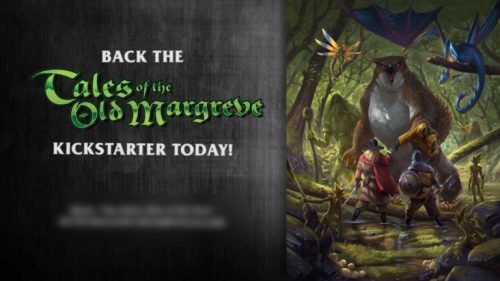 I did an interview with Greg during his Art of War Kickstarter. 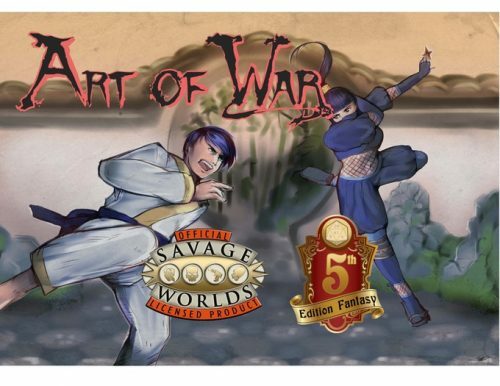 Check out previews of AoW for 5e here and for Savage Worlds here as this Kickstarter will be relaunching with some nice improvements in the near-future. And, if you’re at the con, find Greg and talk to him about AoW and his other games. 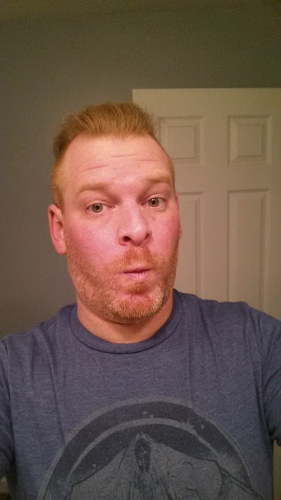 Have You Seen This Man? Greg LaRose is armed with a dice bag and the Art of War! It’s another day of Origins Game Fair 2018 and another game worth checking out! 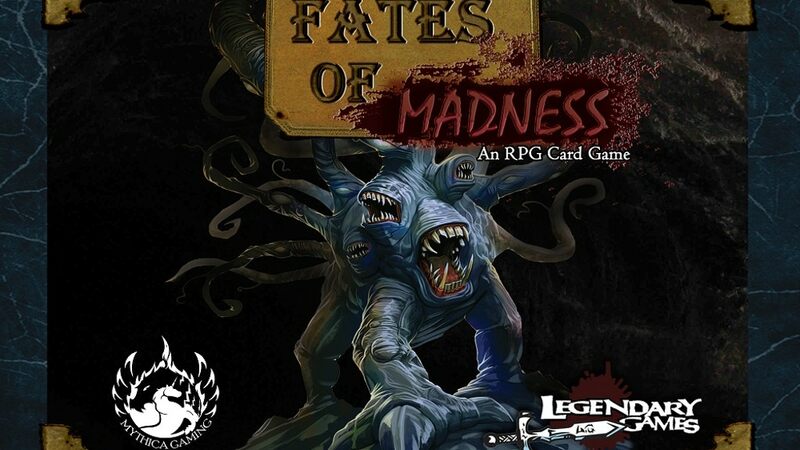 This time Legendary Games and Mythica Games are showcasing Fates of Madness on Kickstarter [below] and at Origins. Are you at Origins? Because designer Jimmy Sanders is demo’ing FoM there. 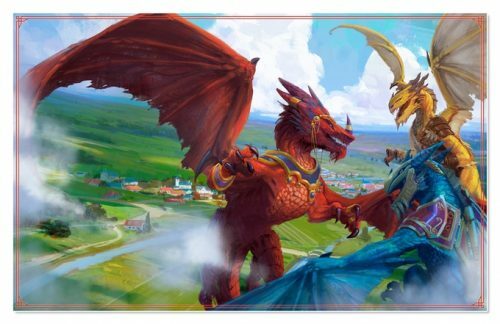 As well, there are sessions of the Legends of Draxia card game and the Draxia RPG from Mythica Games. Ends on Mon, July 9 2018 11:00 PM EDT . “A cooperative RPG adventure card game based on the Gothic Campaign Compendium. Plays Solo or up to 5 Players! Want to be Sherlock or Robin Hood or try a new game at Origins Game Fair 2018? Read on. In October, 2017, I covered the Baker Street: Strange Cases and Hood: Beyond the Forest by Fearlight Games‘ Kickstarter. Through that and a mutual friend, I met Bryce Whitacre who shared the fruits of his Kickstarter with me. 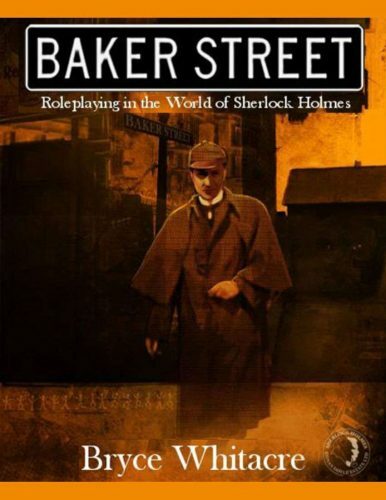 Baker Street and Hood are fun tabletop RPGs and, during Origins Game Fair 2018, Fearlight Games‘ Bryce Whitacre will be at booth 240 selling them. As well, if you want to play Baker Street or Hood or demo their soon-to-be-Kickstarted social deduction card game, they’re waiting at b230. From Bryce – “[I]f you have a spare 20 minutes to try the [new social deduction card] game, just stop by between 8 and 11 PM in the game room b230.” I hope to see you there. “Sherlock Holmes is Missing and Presumed Dead! Intrepid investigators are asked by the stoic Dr. Watson to take cases out of Baker Street in Holmes’s absence. Victorian streets, foggy nights, and crime most foul await. Will the nefarious plans of crafty villains come to fruition or can the champions of justice from Baker Street save the day? The small band of outlaws gathers around the trysting tree. 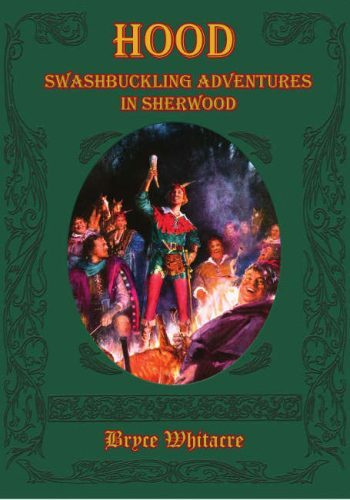 Prince John and the Sherriff of Nottingham are making life impossible for the villagers of Sherwood and Barnsdale. Only these outlaws can fight back and preserve the English way of life until good King Richard returns. Don the Lincoln green, grab your arrows, and join the Merry Men! Adventuring mechanics that feature a narrative style of storytelling and derring-do. NPCs and legendary characters you can add to any campaign. Historical information on locations and events in Robin’s life. A “Clash of Blades” system that brings back the tension and drama of classic movie sword duels. I ran into Chris Miller of Chris Miller Games and Ankur: Kingdom of the Gods at Atlanta Sci-fi and Fantasy Expo, MomoCon, and, now, Origins Game Fair 2018. At MomoCon, I participated in an interview with Chris and I can tell you, he has some interesting stories about the origins of Ankur that are worth heading to his booth and asking about. Head over to booth 460 and say hi. 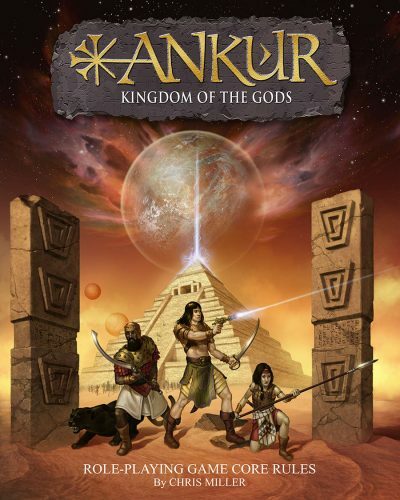 Ankur: Kingdom of the Gods – Kingdom of the gods is a sci-fi tabletop role-playing game based largely on ancient Sumerian mythology. The game takes place on Earth just after the great flood, some 25,000 years in the past. A species of Alien beings from the planet Nibir, in the farthest reaches of our own solar system, come to Earth to mine gold for the production of Mana. Through genetic manipulation, they create a variety of humanoid slaves to mine gold. 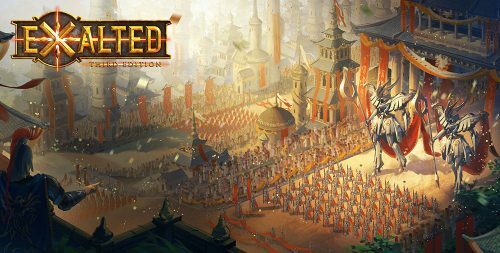 ANKUR – Kingdom of the gods! It’s Origins Game Fair 2018 and Robert Turk of Wicked Clever is here sharing his latest RPG, Starship Infernum: a tabletop RPG of Interstellar Survival. 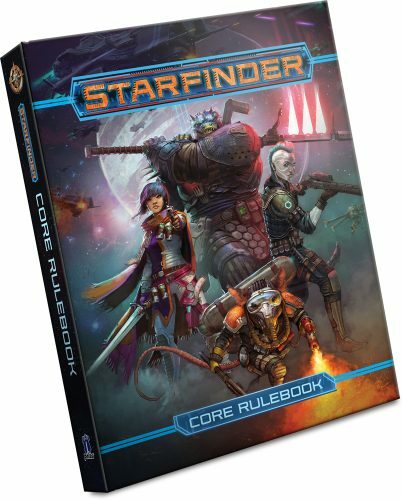 Currently funding through Kickstarter, this pick-up and play RPG let’s you try to survive the horrors of space. Interested in trying it? Robert is running the game at the show. 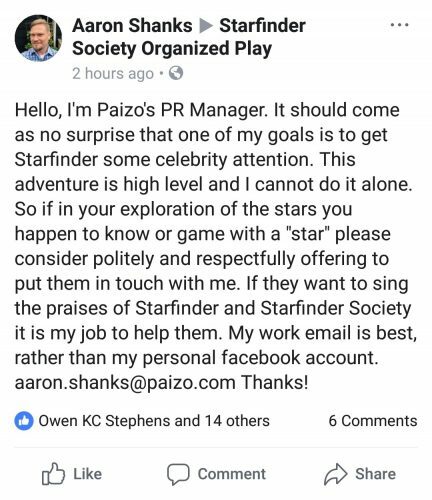 Interested in backing the game? Click here. 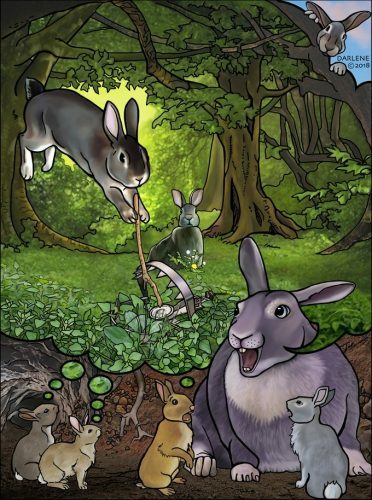 “A pick-up & play tabletop RPG. Easy to play, easy to run, hard to survive! Infinitely re-playable, no dice needed, sci-fi fun! All Backers get immediate access to our Beta Playtest Rules in Update #1! Character creation is fast and easy, or you can jump right in with one of the many included pre-generated crew mates. Definite endgame! A single adventure plays in 2-4 hours. Death is not the end of the action! Expired crew mates are still part of the story and will impact the outcome of the adventure. There are no complicated rules to memorize! 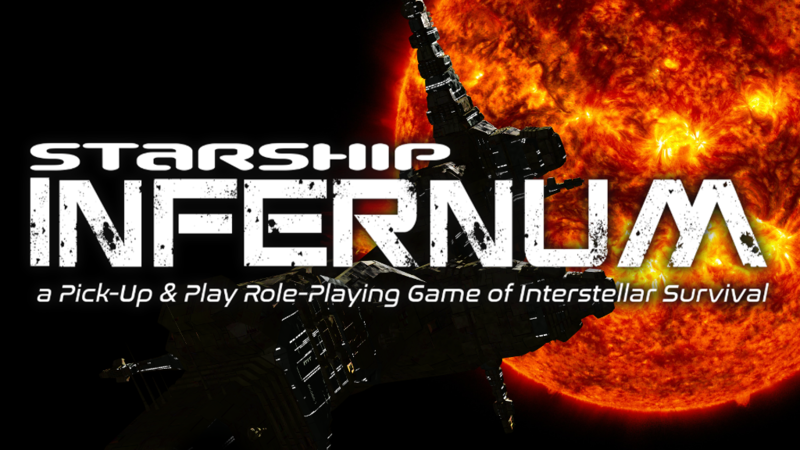 If you can play Blackjack, you can play Starship Infernum! No Prep! Crises are determined at the start of play. The ship layout and the obstacles encountered are generated by a deck of cards. The Dealer simply interprets how to implement them. The book is filled with examples, gameplay options, and descriptions for each room and obstacle! All challenges are resolved with a hand of Blackjack. A player only takes damage if they bust! Failure creates “Rising Tension” which makes the next test harder! Players can exhaust relevant traits to adjust their total score or use found equipment for a one-time bonus! Jokers summon Swarms – mass challenges against the entire crew! Duty Abilities provide each character with a unique bonus (or rules twist) in certain situations! To see more of Wicked Clever‘s work on DriveThruRPG, click here. It’s the first day of Origins Game Fair 2018 and the first game I’m scheduled to play is Eric Bloat’s Survive This!! Zombies! from Bloat Games at 2PM. OSR plus near-future zombie-ocalypse. I covered the SURVIVE THIS!! 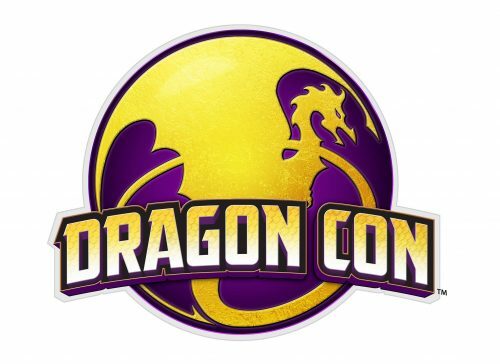 Dark Places & Demogorgons RPG Core Rulebook Kickstarter in October 2017. I’ve been eager to try a SURVIVE THIS!! game since then! If you’re interested in more from Bloat Games, Eric has a Kickstarter coming up on June 26th. If you’re interested in updates, you can follow him on Kickstarter here. That’s the line that started it all. Sure, there were other zombies in movies and literature prior to the delivery of that iconic quote but George A. Romero’s Night of The Living Dead kicked off the modern zombie craze for sure. From Day of the Dead to Return of the Living Dead to Dawn of the Dead to Shaun of the Dead to The Walking Dead, people can’t get enough of The Dead! Zombies can be found in abundance in film, TV, comic books, literature, video games, board games, card games, dice games and yes, of course, roleplaying games. That is where we come in. SURVIVE THIS!! – Zombies! is the first in the line of SURVIVE THIS!! 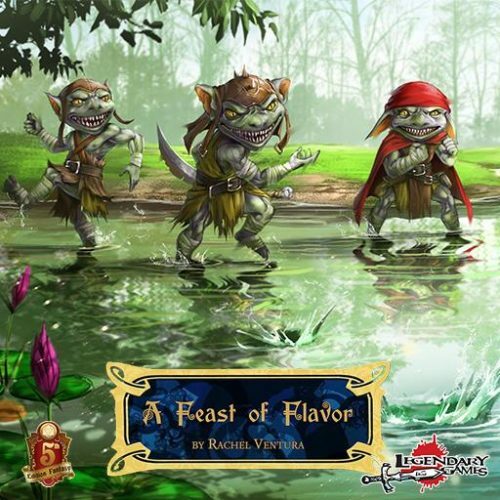 Roleplaying Games to be released by indy publisher, Bloat Games. SURVIVE THIS!! 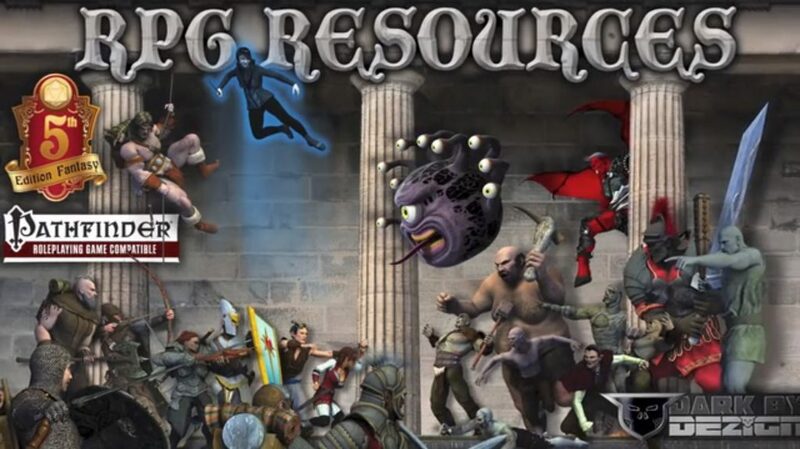 is a retroclone of the world’s most popular fantasy roleplaying game. Mixing the familiar rules of the Old School Renaissance and a near future zombie apocalypse, SURVIVE THIS!! – Zombies! aims to please giving any zombie lover a fast, fun and wild ride, that’s easy to pick up but hard to put down. Tagged Bloat Games, Origins Game Fair, Survive This!! Zombies! I’m looking at RPGs, and other games, at Origins Game Fair 2018. Right now it’s a winner of the “2015 BAMFsie award for Best Genre Emulation,” Cold Steel Wardens: Roleplaying in the Iron Age of Comics. By Blackfall Press, LLC and Andy Klosky, this game is a superheroic tabletop RPG (details below). If you’re at Origins, Andy is running sessions of Cold Steel Wardens each night at 7:00 PM in the McKinley Room of the Hyatt. 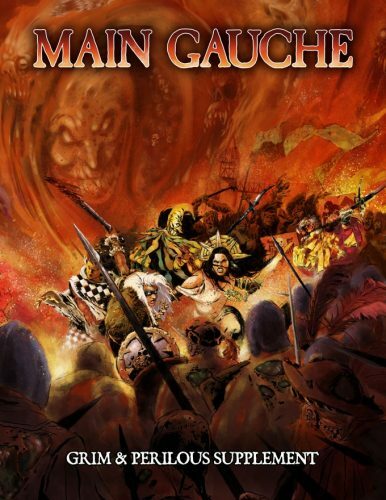 The game, Cold Steel Wardens: Roleplaying in the Iron Age of Comics, can be purchased at the Studio 2 booth [Booth 423] between Crystal Castle and Greater than Games. In addition, Andy is running playtests for De Civitates Dei: Occult Horror in 1135 Jerusalem, his latest RPG that he’ll Kickstart in 2019, at 1:00 PM on Wednesday and Thursday of the con. 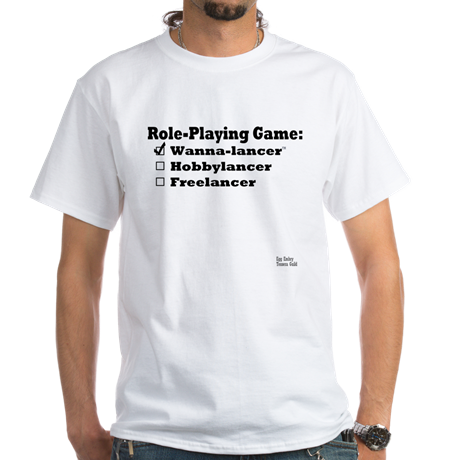 If you are eager to try out a new RPG, Andy’s ready to GM. Some say that justice is all but gone. You know better. Justice hasn’t disappeared. Justice now wears a mask. Your mask. 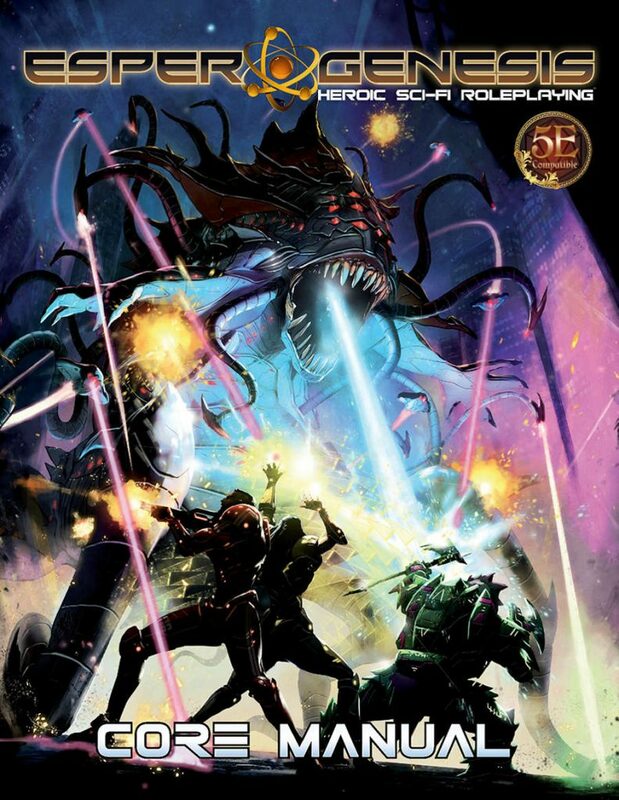 Inspired by the rise of dystopian, darker, contemporary comics from the 1980s onwards, Cold Steel Wardens: Roleplaying in the Iron Age of Comics brings the drama and suspense of the world’s greatest comics to your game table. 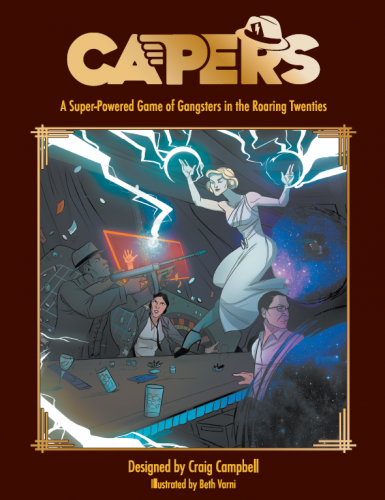 High-stakes action runs hand-in-hand with the new MAFIANAP game mechanics, which emphasize the brutal combat, the intense investigations, and the deep moral quandary found in the Iron Age of Comics. 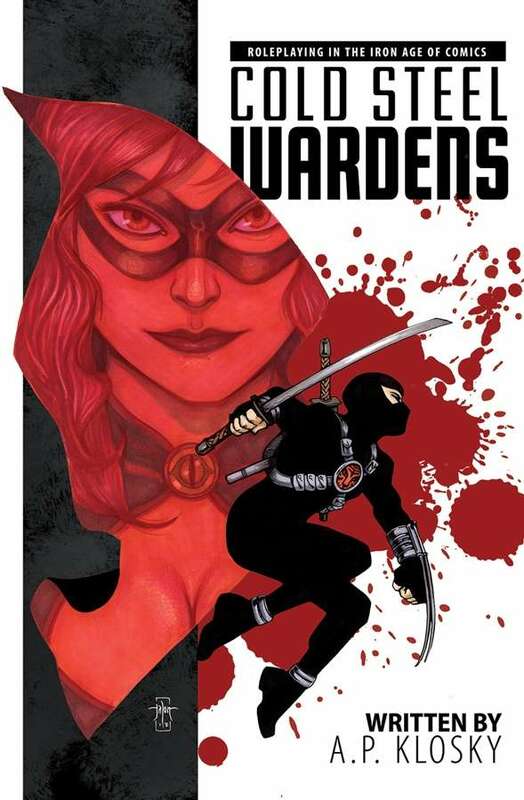 Players become vigilantes in the crime-ridden city of New Corinth, using their unique skills and powerful metahuman abilities to bring justice to darkened streets. Is Dream Askew // Dream Apart at Origins 2018? Unfortunately, no. Is it available on Kickstarter? Yes! How do you know if it’s going to be good? 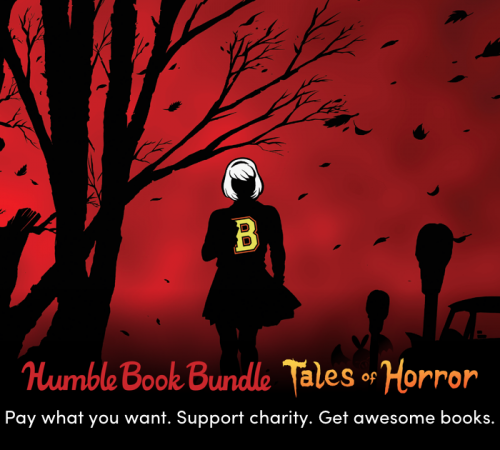 Well, Avery Alder’s prior game, MonsterHearts 2, is up for an Origins Award and that speaks volumes about the game (and, in my mind, indicates future games’ quality). Not enough? 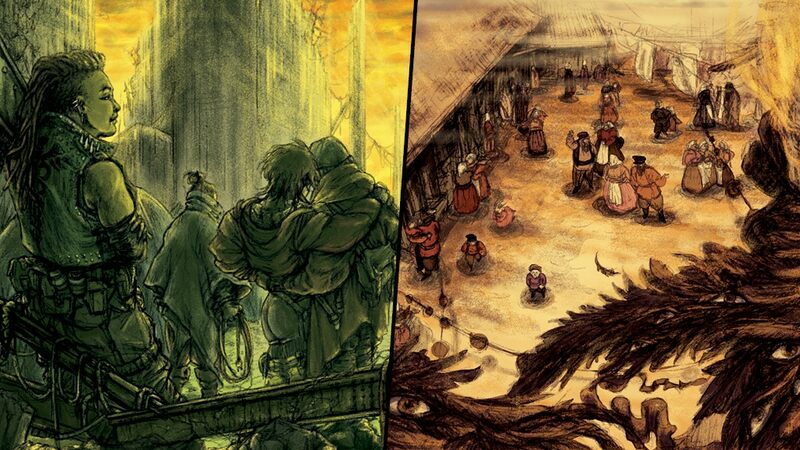 Well, both Dream Askew and Dream Apart have gorgeous art and the ideas they describe below offer a refreshing take on some well-loved gaming tropes! It’s worth checking out! Ends on Sun, June 17 2018 11:00 PM EDT. “Queer strife amid the collapse. Jewish fantasy of the shtetl. Two beginner-friendly roleplaying games of belonging outside belonging. Dream Askew and Dream Apart are beginner-friendly roleplaying games of belonging outside belonging. They give you tools to tell a story about marginalized people living together in precarious community. In Dream Askew, that community is a queer enclave enduring the collapse of civilization. In Dream Apart, it’s a Jewish shtetl in a fantastical-historical Eastern Europe. They both feature a no dice, no masters system that emphasizes collaboration, shared ownership, and character-driven play. You can check out the most recent playtest versions here. 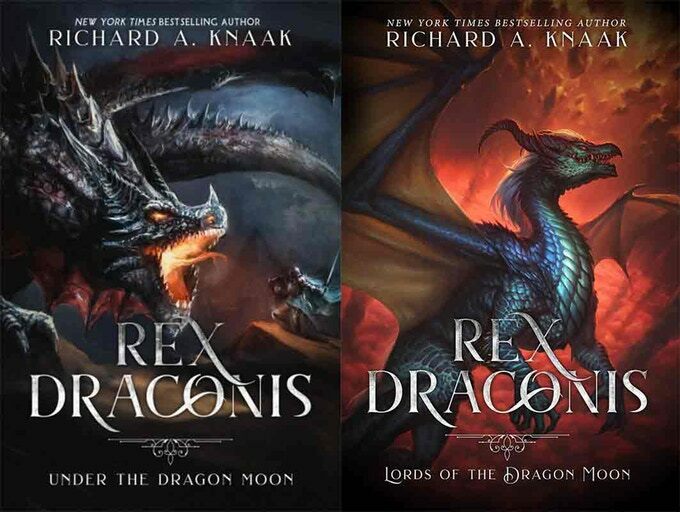 They’re being released as a split book, graced by the brilliant art of Zev Chevat and Ezra Rose. The book goes beyond simply teaching you how to play. 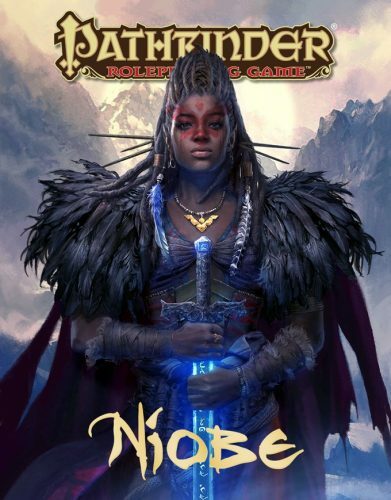 It’s also a guide for how to pitch these games to your friends, create a welcoming environment to play them in, and support healthy boundaries at the gaming table. Finally, it ends with a guide to designing your own games of belonging outside belonging. These games are diceless, leaving nothing to chance. Play is driven by the choices that get made at the table, with scenes unfolding as players make moves: picking simple narrative prompts off their sheet and working them into their description of what happens next. Weak Moves grant a token while Strong Moves require one, creating a balanced tempo for each character – moments of petty drama and tragic failure set the stage for ones of resourcefulness and skill later on. There’s no Game Master to defer to; authority is divided equally around the table. The dreams achieve this by giving each player a setting element to customize and play. While there’s no Game Master or MC, the game thrives when someone steps up to act as teacher and facilitator, helping others to find their initial footing. 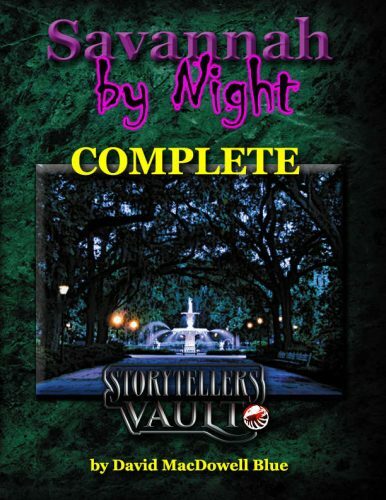 The book outlines how to take on this role without taking over the story in the process.